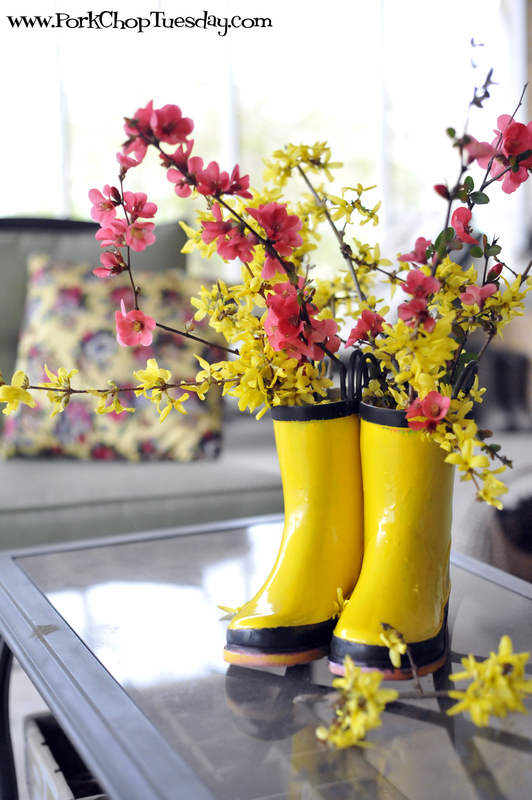 I recently saw an adorable wreath made out of recycled rain boots. You can see the inspiration wreath here. 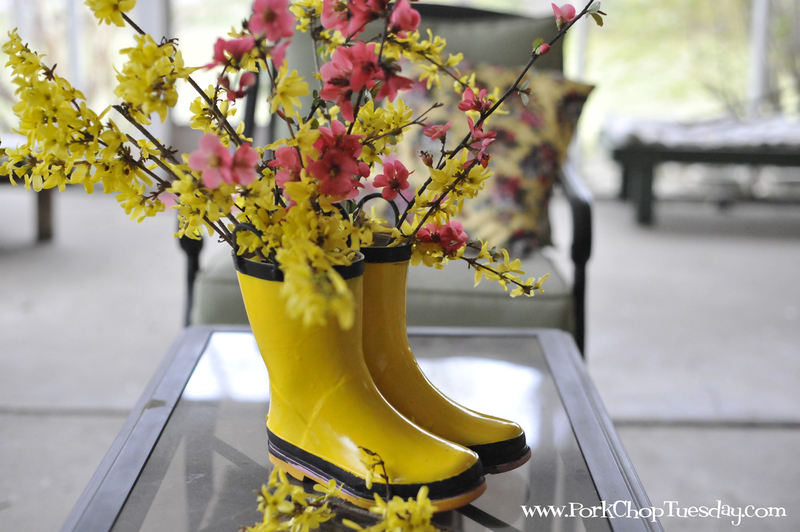 Since there had been a pair of outgrown rain boots with holes in them on my porch for months, the idea looked awesome to me! I taped off the black part with painter’s tape before I sprayed the boots. I used a paint and primer all-in-one spray paint. Sorry, I don’t remember what brand. Whatever brand they carry at Walmart. The boots are far from perfect, but I like them. I think they look rather cheery on my porch. 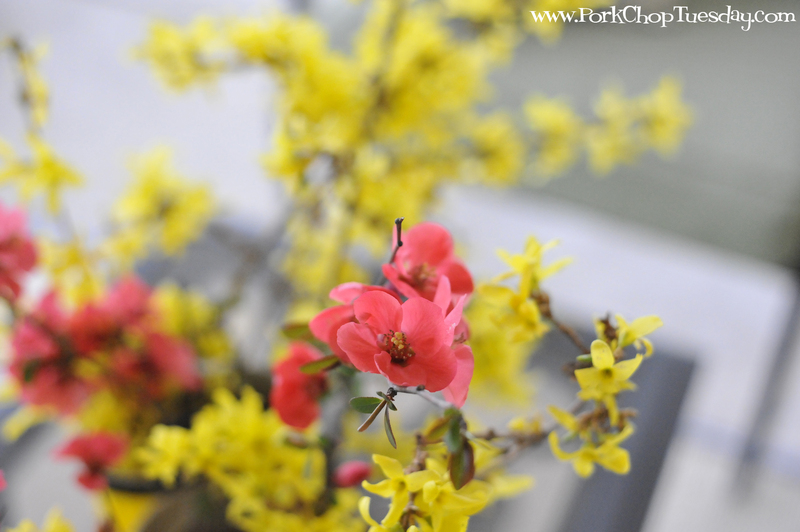 The Flowering Quince and Forsythia are from our yard. My grandmother planted them long ago. We have had lots of cold, rainy days here lately. 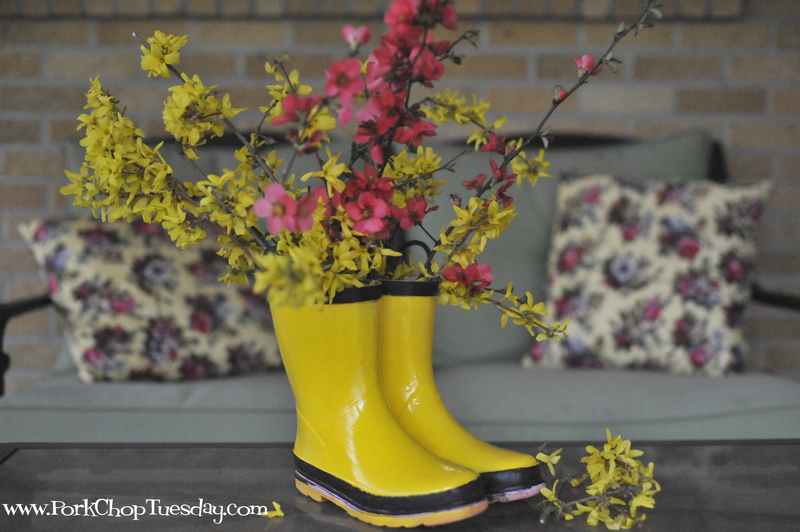 These recycled rain boots added just the right amount of “sunshine” until the real thing came out of hiding. Great idea! I have a very ugly pair I was about to get rid of…never thought about using spray paint. Love it! Oh my I love this!. So bright and cheery and I would have never thought of spray painting the boots. We have tons that have gone by the way-side or are missing their mate. Great idea.